Flagship program. 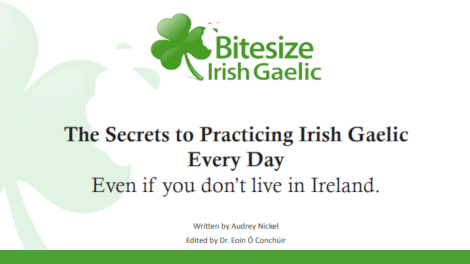 Learn to speak Irish in Bitesize portions. Listen to thousands of native speaker Irish language recordings. Repeat aloud which is the "shadowing" learning technique. Language support, monthly group calls and private Facebook group for paying members. Do Irish words look scary? 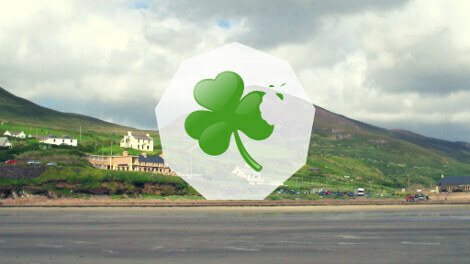 This video course will help you crack Irish language pronunciation. Get the better of Irish language spelling. Includes a download of our popular Cheat Sheets. Learn new vocabulary through songs! Uncover the history of three traditional songs and learn how to pronounce each word correctly. You’ll get to slowly read the song with phonetic pronunciation before diving into the meaning of key words. Finally, sing along with Siobhán, with the lyrics displayed during the song. Learn on the move. 15-hour audio program. Learn Irish in your earphones. Save time by not having to be at your device. Broken up into 90 Bitesize audio lessons, delivered as MP3s, with accompanying PDFs that you can print at home. One-hour audio crash-course. Learn essential Irish language phrases. An abbreviated version of the Bitesize Audio Program. Listen in your headphones. The recordings give you time to repeat, and can come with PDF text of those lessons. Rated 5-stars on Amazon.com. Book by Dr. Eoin Ó Conchúir. The internal journey of learning a language to connect with others. Suitable if you're already actively learning Irish. 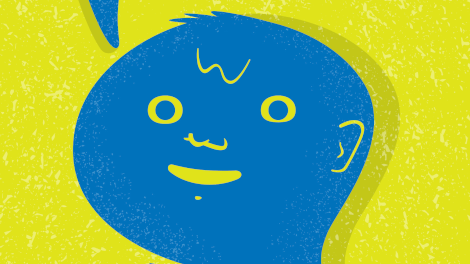 Discover the 10 secrets to practicing the language every day. Free email course, newsletter, and ebook. 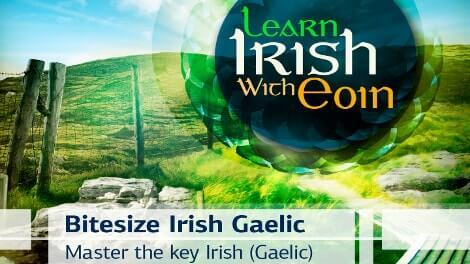 Take your first free step of learning Irish. Start with the single phrase you need to start a conversation in Irish . 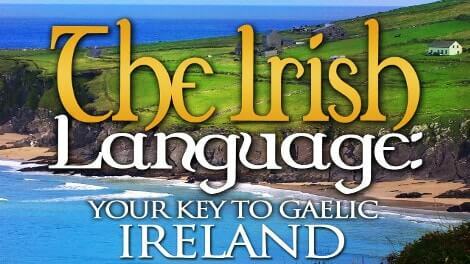 You'll also get an instant free download of our PDF ebook "The Irish Language - Your Key to Gaelic Ireland". Free recordings and slides from live event. Are you interested in developing habits that help you to learn to speak the Irish language? Get this free email series of videos from a live event we held. Also get our email newsletter. Get three free videos, plus lyrics. SINGING in the Irish Language is a great way to connect with your Irish heritage as you can sing a song in Irish anywhere in the world, no matter if anyone understands it or not.